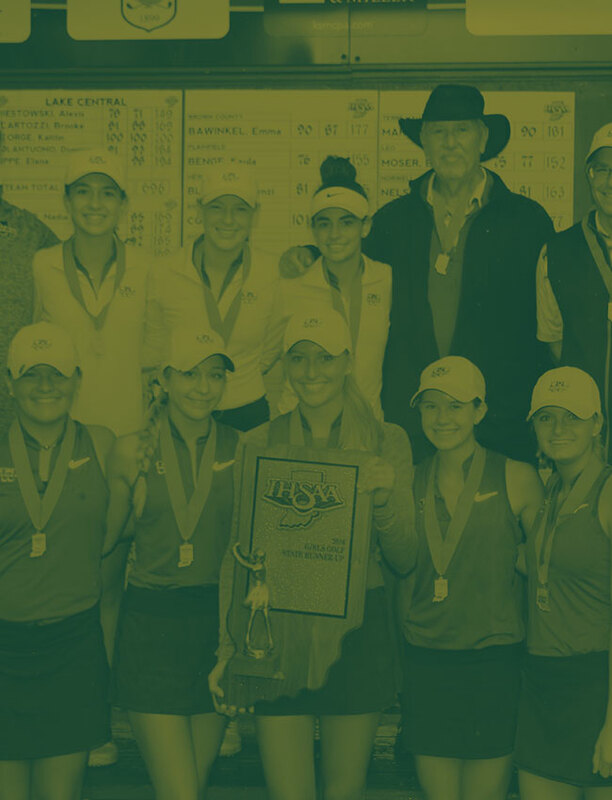 The Westfield Lady Rocks fell four shots short of advancing to the State Championship for the fifth consecutive year. The team shot a score of 331 and was led by Jocelyn Bruch who was the individual Regional Champion with a great score of one over par 73. Natalie Shupe followed with an 82. Brette Hanavan was third best on the team with an 87. Cate Jensen finished with an 89 and Grace Snyder rounded out the scoring with a 91. Even though the Lady Rocks did not advance as a team Jocelyn Bruch advanced to the State Championship by being in the top 5 individually. Bruch will continue her quest to become an individual State Champion beginning this Friday at 8:48 when she tees off of hole #1 at Prairie View Golf Club.